I loved reading this book sooo much. :) Author created very complex supernatural world within our world. 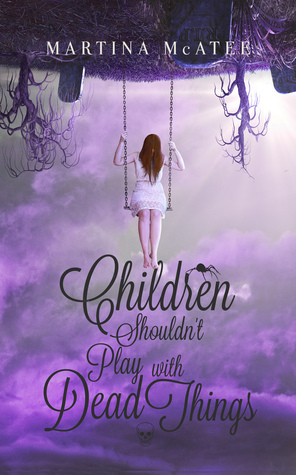 It's full of magic, witches, reapers, fae, shapeshifters, all kids of supernatural creatures. Ember is 17 and lives with somewhat abusive father, until he dies. She is always alone, without friends and spends most of her times with the dead. She puts make up on the deceased and visit cemetery often. After her father's death everything changes. She starts to experience changes, there is someone following her and might want to kill her and is saved by people who claim that are her family. She is taken to the small town in Florida, full of supernatural creatures living together. Her power slowly reveal herself and the only one person who can help her not to kill everyone. Book is really interesting and fun. I couldn't put it down. There is so much going on. There were some thing towards the end that I was not fan off and I felt like Ember personality changes a bit toward the second half of the book. That said, I loved it so much and can't wait to read the next one in the series.